A new lipstick is yet again added to my ever growing Mac collection. I don't know what it is about Mac lipsticks, I never seem to have enough! 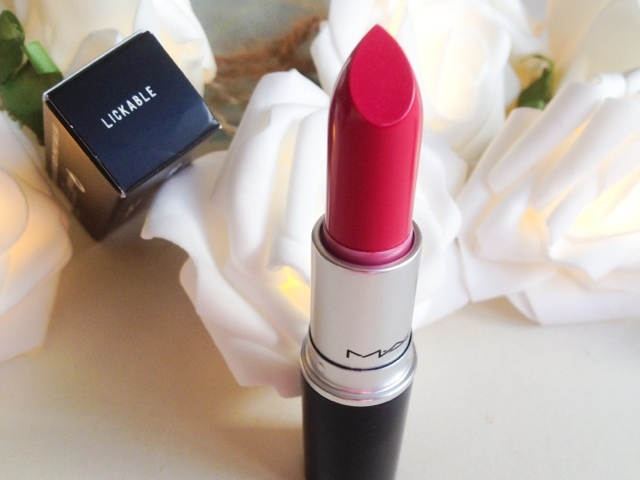 When shopping for a lippy I tend to head straight for the nudes and reds by passing all the colours in between, but not on this occasion, Mac 'Lickable' caught my eye and now finds its place in my mac lipstick family. 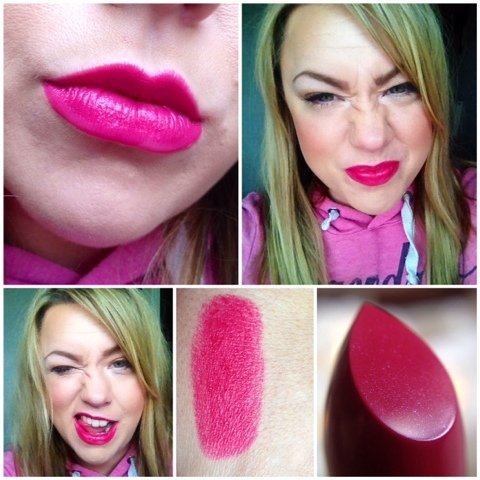 Mac 'Lickable' is a pinky purple with blue undertones. It has tiny hints of shimmer running through it, not enough to be transferred onto the lips but enough to add a gloss and sheen to the lips. The colour that is not a normal occupant of my lipstick collection but one I have fallen in love with. It's a cremesheen which means its super moisturising and actually lasts quite a long time compared to my other lipsticks with the same finish. I do love a red lip, it can vamp up and add some glam to almost any make up look, but sometimes it can be a bit OTT for day time use and that's where this one comes in. It's bright and bold without being "in ya face" making it perfect for daytime use and still adding that vibrancy and polished effect to any make up look. I can see myself getting a lot of wear out of this, it's a shade that's perfect for spring/summer and also one that can see you through autumn/winter, a great all rounder and ideal for any occasion. What do you think to this colour? Yay or Nay? Is it in your collection already? That is a beautiful colour, and really suits you too! Is this a new shade from MAC? I hardly wear lipsticks these days, but I like the colour. I absolutely love Lickable-I dug it out for the first time in ages after seeing your post Lou! It's so beaut!